Cumbernauld followed their opening win over Kilsyth with another victory against Rossvale. 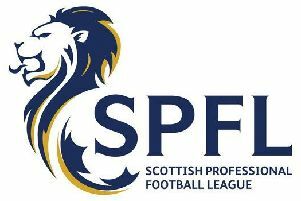 Cumbernauld United recorded a second successive victory in the Central Sectional League Cup against Rossvale at Peugeot Park, Ashfield on Wednesday night. Two goals in a three minute spell in the second half of the game were enough to give United the three points after a dire first period viewing for the few spectators present. Then Dylan McGuigan and Paddy McCabe had headed attempts at goal which were also off target. United goalkeeper Jordan Brown then came to the visitors' rescue when hesitation in defence let a Rossvale attacker through but the young keeper came off his line to bravely take the ball from the home forward. It was the turn of Rossvale custodian Ben Tough to then distinguish himself with good stops from Tony Stevenson and Mark Batchelor as United strove for an opener. But despite those efforts it was a poor game and the interval arrived with no scoring. The initial stages of the second half saw no improvement in the proceedings. But as the match went on United began to take control and got their reward in the 65th minute. Following some attacking play the ball broke to the hard working Mikey McLaughlin 20 yards out and the midfielder drove a low right foot shot into the corner of the net. Three minutes later Cumbernauld went further ahead as Begg showed great persistence on the right to get into position to send a low drive past Tough. United were now in complete command and Dave Hamilton and McCabe had near misses. Rossvale were awarded a penalty for a foul United claimed took place outside the box, but substitute Kirk Forbes's spot-kick hit the outside of the post and went past. Good work from Chris Zok and Willie Wells saw a McCabe header saved as the game came to an end and United keep a clean sheet and gain the three points to follow up their opening win over Kilsyth. Next up for Cumbernauld, the only side in the five-team group with a 100 per cent record, is a home match with bottom side Dunipace on Saturday. Rossvale, who have won one and lost one so far, host local rivals Rob Roy at New Huntershill.